The reliable and relatively cheap RD-180 engine is designed by a Russian research and development company especially for the US Atlas carrier rockets, but there are reportedly plans to put them to use in the production of Russian super-heavy rockets. The Russian-designed liquid-fuel rocket engine RD-180 powers the first stage of the American rocket carrier Atlas V. As many as 85 flights of rockets powered by the engine have been conducted to date. After US-Russia relations deteriorated over the Crimean issue in 2014, US lawmakers slapped limits on would-be RD-180 purchases, passing a law that required the US to phase out the Russian-made engines in favour of domestically produced next-generation rocket propulsion systems. 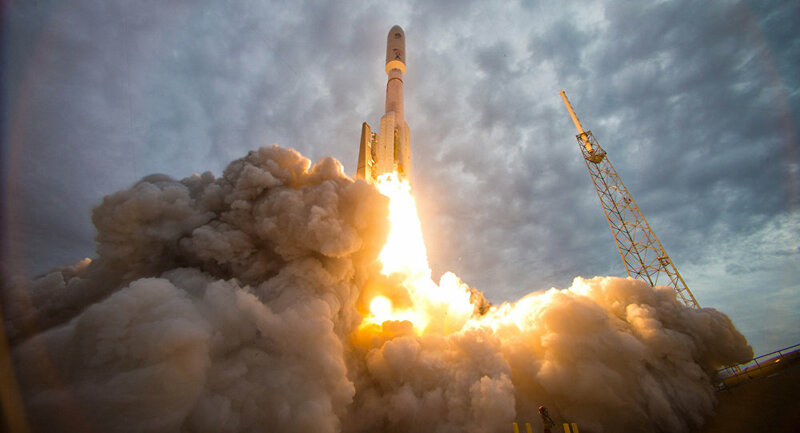 However, the following year, the US Congress passed a budget that included a provision allowing the country to go on buying the Russian RD-180 rocket engines. Shortly after, the ULA ordered an additional batch of 20 RD-180 engines at the Pentagon’s request. Separately, there were earlier reports on the intention to use the engine RD-180 in a Russian rocket of the super-heavy class.